Science fiction and Ridley Scott have always gone together like peanut butter and jelly or Mulder and Scully. Admittedly Scott has had some craptastic failures and has made some very questionable decisions-- the most recent ones being 'Exodus: Gods and Kings' and 'The Counselor,' but when Scott gets back to his roots, magical things happen. Say what you want about Scott (and I have), but he knows how to do science fiction. 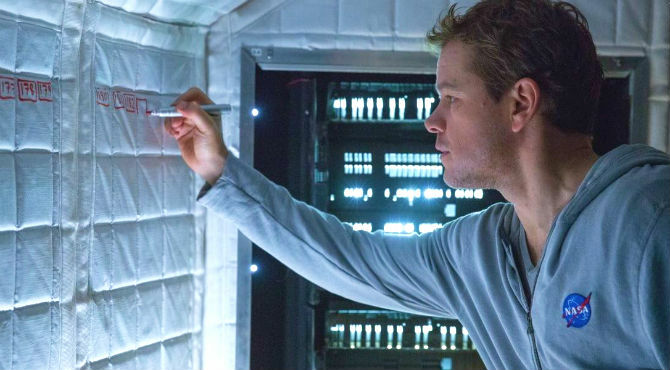 The proof is in the pudding because 'The Martian' is a fantastic film from start to finish. It manages to remain fresh and innovative throughout thanks to Scott's pacing. But perhaps the biggest kudos should go to Andy Weir, the author or the book, because the material the movie is based on is so exceptional that it would be difficult (albeit not impossible) to mess it up. Our fair film begins on Mars where else? 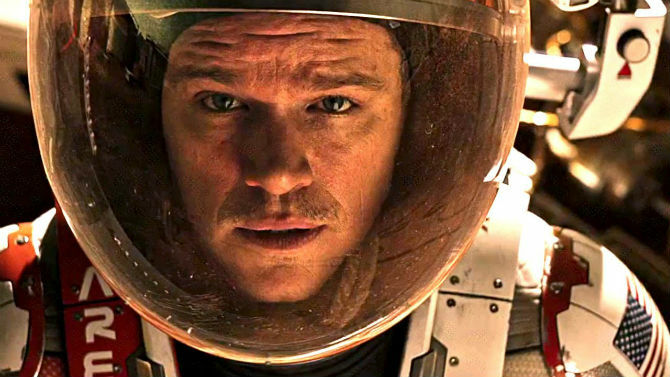 The Ares crew is surveying Mars with lots of funny banter between Rick Martinez (Michael Pena) and future Martian, Mark Watney (Matt Damon), when a terrible storm threatens their site. In an abundance of caution Mission Commander Melissa Lewis (Jessica Chastain) decides to abandon the site and return to their ship in orbit. In the midst of the mayhem of the storm Watney is hit with a satellite dish and sent flailing into the cold martian night. When their sensors read that Watney's suit has been compromised, they reluctantly leave Watney for dead. The martian atmosphere is not very hospitable to humans. It's average temperate is about -67 degrees fahrenheit (-55 degrees celsius), the atmosphere is very thin, and is primarily carbon dioxide. 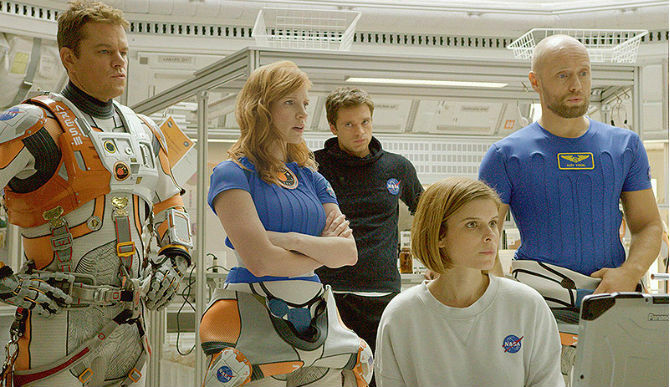 If Watney's suit was compromised then he would be dead in under a minute. THE $#IT OUT OF THIS. Thankfully for Watney he was impaled! Ouch. In this instance being impaled saved his life by creating a seal where his suit breached. 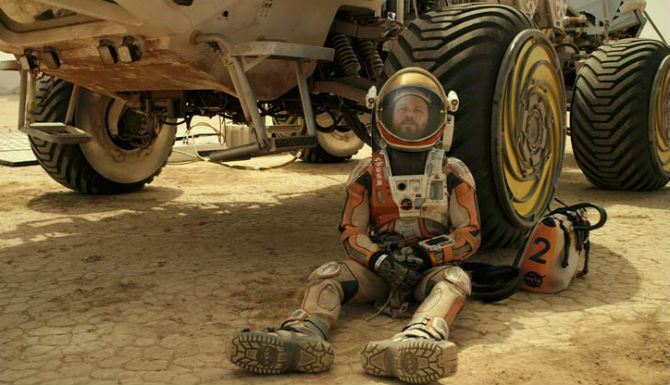 Watney is able to return to the habitat only to realize that he has been abandoned on mars and left for dead. Once he performs some rudimentary medical treatment, Watney pulls himself together and gets to work. Most people...namely myself...would crawl into a little ball and start to cry as my supplies ran out--not Mark Watney. Thankfully for Watney, he's not only a mechanical engineer, but he's also a botanist. The film didn't mention his engineering background, but I remember this from the novel. It turns out that Watney's unique set of skills is perfect for his new life on mars. He's able to grow food and even produce water. He jokingly acknowledges that of course he can make water--he even knows the formula! Admittedly, book Watney was way funnier than movie Watney. Book Watney was hilarious. However, Damon does a good job in capturing Watney's sarcastic humor and dry wit. It's difficult to act alone and only the best actors can pull it off. ROOTING FOR ONE GUY TO SURVIVE. The closest thing to a villain (besides mars itself) is Teddy Sanders (Jeff Daniels), the head of NASA, who behaves shrewdly at times, but his ultimate goal is to bring Watney home. 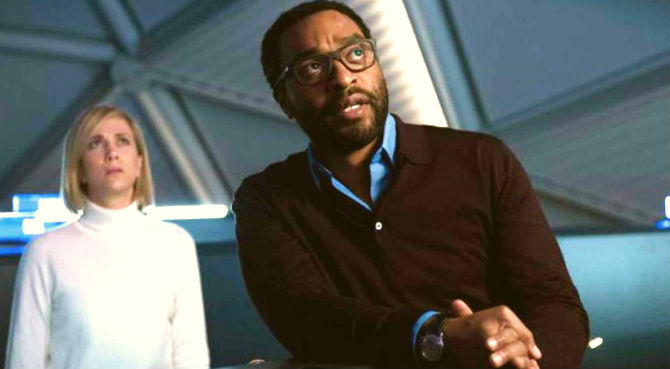 In order to do so Sanders needs all the help he can get from mission directors Vincent Kapoor (Chiwetel Ejiofor) and Mitch Henderson (Sean Bean) and Annie Montrose (Kristen Wiig) as NASA's jittery spokeswoman. The casting wasn't necessarily what I anticipated, but in this case it works. I was halfway expecting Sean Bean to do something horrible and then promptly be killed off . Side note: There are a few other changes to the casting that made me scratch my head. For example, Mindy Park is no longer Korean American, but blonde and blue eyed and Venkat Kapoor is no longer Indian American, but African American. I say this because there were some references to Kapoor's Indian heritage in the novel. Again, this is the same Ridley Scott who made 'Exodus: Gods and Kings' with a Scottish pharoh enhanced by glitter and bronzer. Please note that did not diminish my love for Joel Edgerton-- who is a fabulous actor! Again, the casting wasn't as I had expected in 'The Martian,' but it seemed to work. Nothing can compare to Joe Wright's decision in 'Pan' to cast Rooney Mara as native American princess Tiger Lily. Oh come on. DO YOU BELIEVE IN GOD VINCENT? I should note that Jessica Chastain does a great job as well. 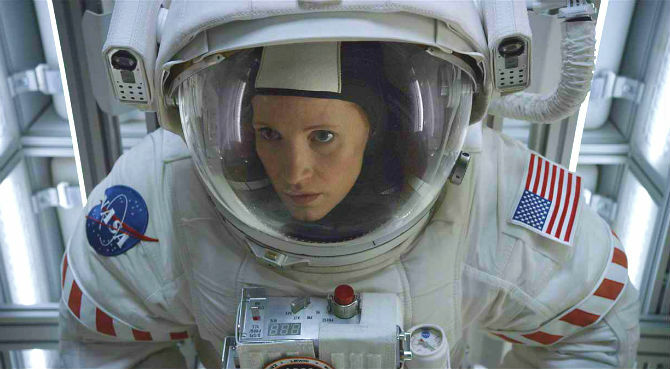 Chastain's scenes with Watney reminded me of George Clooney and Sandra Bullock's characters from 'Gravity.' There's another 'Gravity' reference for you. It wasn't as exciting as 'Gravity,' but it reminded me of 'Gravity' a great deal...and that's a compliment. I do wish they would have had a few more scenes together, but the film already runs long at 2 hours and 21 minutes. 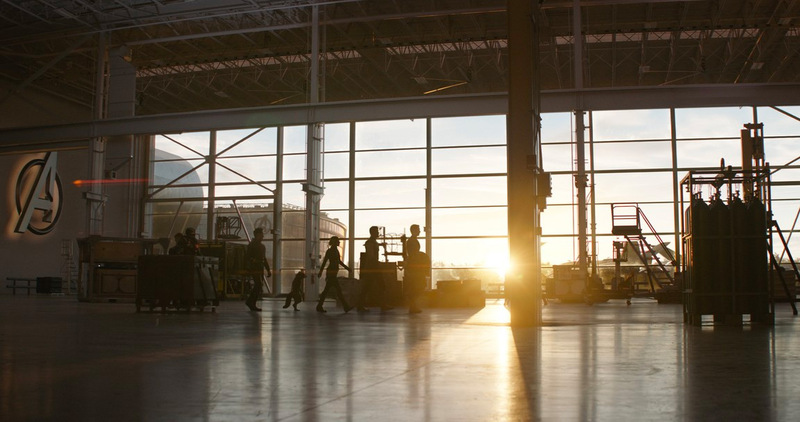 I also want to compliment the look of the film and the cinematography. The red dusty landscapes of mars are just breathtaking. The film has some slight flaws throughout, mainly with regard to character development (as most Scott films do), but overall Watney's warmth and optimism carry it. The film has an absolutely thrilling conclusion that I wouldn't dare spoil for anyone reading this. 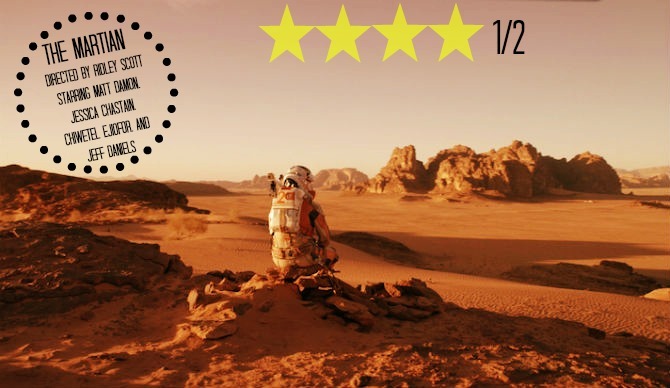 The entire film is an adventure through Watney's eyes as he attempts to survive in a "wild" like no other. This film will definitely be on my best list this year. 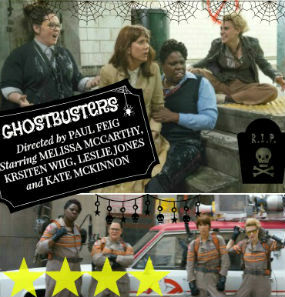 Lastly, I think this movie passes the Bechdel test! There are actually enough women in this film who talk to each other about something other than a romantic relationship. 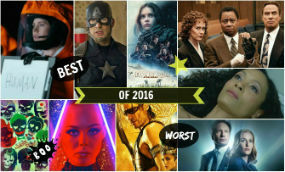 You would be surprised on how few movies actually pass this test. Go see it. FOUR AND 1/2 STARS OUT OF FIVE. I didn't get a chance to read the book first but I've heard he's snarkier in the novel. Damon still did a great job acting all on his own. And the film made me realize that if that was me, I'd be dead within a couple months. Ha, me too Alex!! We'd be in the same boat. Yes, he was much snarkier in the novel. A lot of funnier. Ha Yolanda...no naked women this time! LOL, you sound like my wife. She always says that in case of a serious disaster, she's just going to curl into the fetal position and cry and she expects me to save the kids and leave. I haven't seen this yet, but I'm really excited to! Oh I think you'd like it. It's very technical, but it's a great film! Excellent review! The film obviously left out a lot of Johanssen and Watney's banter, but I loved the "Smithsonian of loneliness" line Watney threw out when he was digging through her stuff. I really liked Daniels casting in Teddy. It made me miss The Newsroom. Thank you! Oh yeah I thought Daniels was well cast. He was probably the best cast. He's such a fine actor. I had my doubts about Damon as Watney. I pictured someone like Paul Rudd as Watney to be honest, because Watney was so funny. But Damon did a great job. Mars is a great place to go exploring, new life, new civilizations! Now wouldn't that be something. I love rescuing cute spacebabes - I haven't seen the movie yet see, so I'm using my imagination. 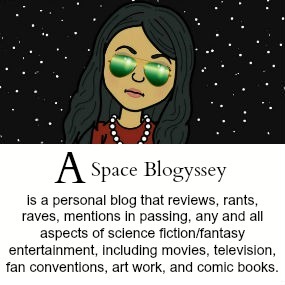 Ha, no space babes in this flick, but perhaps next time! She was terrible in 'Interstellar,' so I was glad that I really enjoyed her in 'The Martian.' 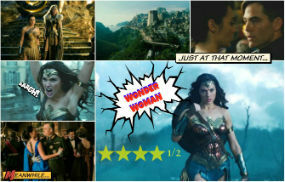 I really enjoyed this movie! Hated Intersteller so much but this movie more than made up for it. 'Interstellar' had all types of problems. I so wanted that movie to be good, but it was just awful. 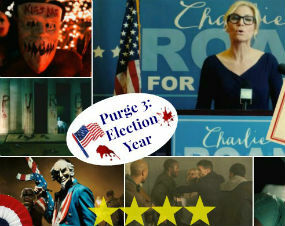 This review makes me want to watch the movie and read the book! It's strange how they recast the minority roles but at least it shows respect for women. Thanks Ms Mariah! True! It was really a great movie. The book is even better. You should read it if you have time! I didn't read much for fear of the spoilers. 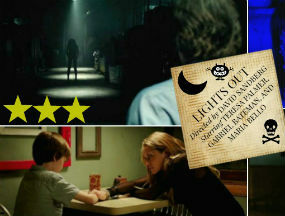 We don't go to many movies in the theater these days but reviews of this one have been excellent - might make the trip. I'm glad to know you liked it. Oh I think you'll really like it. Lots of great sciency bits!